Out in the flatlands of Texas, a good two hours’ drive from the nearest city any outsider has ever heard of, lies a town called Dublin. It has no important industry or institution to draw visitors and the main occupation of the 4,000 residents is dairy farming. All the same, about 65,000 people a year make a pilgrimage to Dublin to tour a small factory in the centre of town that has been bottling Dr Pepper since 1891. The big draw for fans of the carbonated soft drink is that it is the only plant in the world that still produces the original recipe. 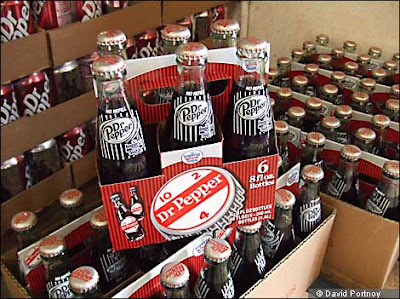 When other bottling factories turned to cheaper high-fructose corn syrup in the 1970s to sweeten their Dr Pepper – with a handful opting for processed liquid sugar – this family-owned plant refused to phase out the granulated cane sugar that had been added to the concentrate since the drink was invented back in 1885 (a year before Coca-Cola was born).